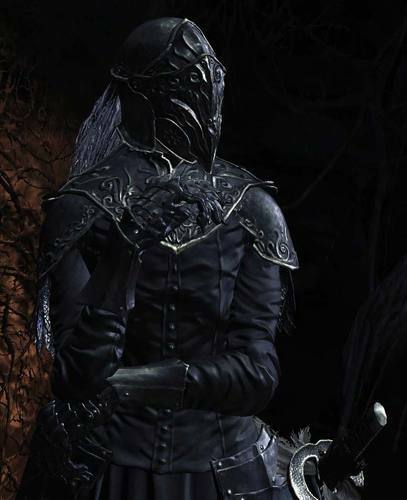 Yuria is a mysterious character that appears after you find Yoel of Londor dead. She's a member of the Darkwraiths, with the primary goal of bringing about the Age of Dark. Her master is the primordial serpent, Darkstalker Kaathe. Yuria is the middle of three sisters leading the Sable Church, and likely the whole, of Londor, the land of the Hollow. Her younger sister's name is Liliane, and her older sister's name is unknown to others. Umbral ash of Yuria of Londor. With this, the shrine handmaid will prepare new items. Having three founders of the Black Church ensured Yuria’s legacy would survive. Her two sisters could carry the torch, making certain their lord claims the flame, for the sake of all Hollows.